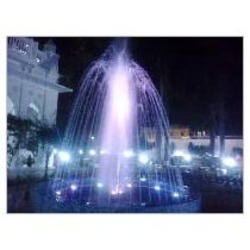 We are one of the prominent names in the domain of providing Indoor Water Fountain services. Backed by a team of experienced professionals, we understand the requirement of the clients thoroughly before deciding what kind of Water Fountain can be fitted. From the planning process, to auditing the Fountain site and the construction procedure, all processes are carried out efficiently in a timely manner. Owing to our large clientele and reasonable charges, our Indoor Water Fountain services have garnered appreciation across the country. G. N Universal Greens was established in 2004, in Lucknow, Uttar Pradesh, GN Universal Greens has been practicing exclusively in the field and have a reputation for delivering high quality professional services in the field of landscape planning and design in and throughout India. Our Grounds Maintenance division knows the importance and the value of your landscape. Every service needed is available and performed by trained professionals on a carefully managed schedule to assure optimum results.